Looking for the easiest side hustle ever? Looking for how to make money without working? Try renting out new or unused items through Omni storage and Omni rentals. I set out to create a passive income stream / side hustle, a la Chris Guillebeau (Side Hustle School), that involved minimal work on my part. You know the type, something very hands off. A quick note about me, I am very interested in the idea of rental property as a side hustle. The problem with the typical rental property is that it is infinitely more complicated and definitively not hands off. Normally, when one thinks of rental property, they think of residential real estate. Real estate, unless you are old money, part of the current tech oligarchy (or robber barons), or freshly minted crypto-rich, isn’t acquired with the push of a Staples easy button. No, managing a rental property is anything but hands off - tenants, maintenance repair requests, bookkeeping, and a whole host of other issues. What about other types of property? The barrier to entry for boat rentals is too extreme. The market on car rentals has been cornered. Even something as innocuous as a snowblower rental company would prove too difficult. For starters, I don’t exactly possess the faculty to repair and/or rebuild them, especially not when a renter drives the machine too hard, trying to throw wet snow and snapping the belt - something a renter would totally do! Also, The South! Half your market is toast on day one. So I turned to Omni. Omni is an on-demand access and storage company based in San Francisco. Omni was founded on the idea of that access to useful items in many cases is more desirable than ownership. The question of access really highlights the idea of renting vs buying - I mean, where do you hide the fog machine and disco ball during a wine tasting party? Similarly, unless you have a cool, brick loft with high ceilings, you will find that hanging your bike on hooks is a bit prohibitive in a 450 sq ft apartment. Moving beyond minimalist living, they are encouraging everyone to “live lighter”. What is Omni building and trying to solve? Omni is building a concierge service to share and rent your stuff, all through the convenience of your iPhone (or a webapp). You can borrow a ladder from a friend, rent a bike from the Omni community, or use a drone to try before you buy - it’s really simple and user friendly. It’s clear that storage containers for rent is a booming industry, especially in a city like San Francisco. By enabling users to share or rent stored belongings with one another, Omni can decrease the dependence on individually rented storage containers and revolutionize the concept of ownership in our lives. At the very least, it claims that as a primary goal. Transit authority, Jarrett Walker, who famously got into a public tête-à-tête with Elon Musk, shared his thoughts on an article that Curbed wrote about the $38 Billion Dollar Industry of Self-Storage. This quote is taken directly from the article that Jarrett Walker and Alissa Walker are referencing. It makes a strong case for access over ownership, illustrating Omni’s value prop in no uncertain terms. It’s clear that trends in real estate and the shifting demographic of urban residency is leaving many people with limited space to store their material goods. The primary benefits of using Omni can be found within their logistics and inventory management process. For storage, Omni offers a convenient way to offload a lot of unused items from your small apartment and recall those items same day. For Omni Rentals, users can access other people’s belongings for a (sometimes?) reasonable fee. Once again, acquiring those items same day. Search - you can find whatever you need within the Omni community with relative ease. They do a good job of displaying relevant items via keyword search, trending category, or general browsing. Convenience - Omni will deliver to you and pick up, wherever you are, within their service area, 7 days a week, 7:30am to 8:30pm. Marketplace - they have a diverse marketplace, full of all sorts of useful items, ranging from kitchenware to camping gear. Omni shield - Real brief, a protection policy to insure the quality of your belongings. Photography - Omni’s photography is unparalleled in the rental space. Users get a vivid picture of the actual item they receive. Why is Omni storage a good fit for San Francisco? It is well known that apartment rents in SF are outrageous, and with exorbitant rent comes increasingly less and less space. Getting back to the 450 sq ft apartment idea, you don’t get a bedroom with a walk-in closet, you get a walk-in closet where you can put your bed. So, rental storage in the Bay Area and downtown San Francisco comes at a premium. Beyond the obvious connection to Silicon Valley and the tech industry as a whole, the current real estate and self-storage market has created a perfect climate for Omni to launch an on-demand access platform. Omni plans on expanding to a new city (or cities) if COO, Ryan Delk is to be believed. What city should @BeOmni come to next? May Update - Omni is expanding to Portland, OR. This feels like a natural fit for Omni, a place where they can acquire a different set of data based on a different pervading culture. If Portlandia is to be believed, I should start renting out things from the 90s through the rental app. Hey Portland, we’re headed up to your neck of the woods! We’re so excited to bring Omni to a city that values sharing, community, and conservation as much as PDX does. Why is Omni storage a good fit as a side hustle and smart passive income stream? It’s hands off. You can operationalize income producing assets in just a few clicks. I will cover just how easy it was to set up an account, do some quick research, and then purchase and ship items to Omni. I didn’t want to break the bank trying to launch a side hustle. That being said, when you are renting income generating assets, you need to start with money to make money. Unless you are dumpster diving (not my thing). They onboard the item (verification), taking photos, unboxing it, etc. I fill in the name, make, model, size, description, etc. Make it available for rent! To note, it is important to write a strong description. A mix of keywords, attention grabbing copy, and accurate product data will get you more visibility. Omni likes to group rentals by events and trending categories. Events: Valentine’s Day, Super Bowl, etc. Categories: Try before you buy, Outdoor gear, Electronics, etc. As a side hustle, and potential revenue stream, I only want to send brand new items. I don’t want to deal with bad reviews from my own wear and tear, prior to Omni onboarding the item. Also, there is a hidden benefit to using Amazon. Free shipping. As a prime member, I can send items directly to Amazon for free, usually within two days. Additionally, If you sign up for an Amazon Prime credit card, you get 5% back on Amazon.com purchases. This should mostly negate the impact of the CA sales tax (which may not apply in the future if Omni expands into other markets). Also, you might qualify for a promotion. I received $70 dollars as a first time sign-up bonus. Another benefit: Limited work on my end which is ideal for a side hustle. Remember, the goal is to be hands off as much as possible. I’ve turned what could be a tedious task, sorting through my closet, boxing up items, getting over to Fedex/UPS, and simplified it to the push of a few buttons. How much does storage cost through Omni? 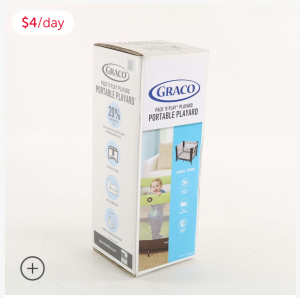 The pricing structure is $0.50 per month for a standard item and $3.00 per month for a large item. They offer closed storage containers for rent at $7.50 per month, but that isn’t going to help our rental business make money. 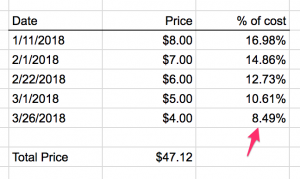 Omni has made the deliberate choice to bill by item, not by the square footage the item takes up. Certainly a decision that they believe provides them with a competitive advantage. What do they charge for rental fees? A flat rate of 50% of your rental. Is the rental fee tax deductible? I have no idea. You should probably consult your accountant. In fact, I hadn’t even considered that until writing this sentence. Where did I get the idea to rent items on Omni rentals? Late last fall, I found myself thumbing through Chris Guillebeau’s Side Hustle: From Idea to Income in 27 Days and wondering what I could do for my next side hustle. I won’t lie, I didn’t settle on using Omni storage until early January, a couple of months after the launch of Omni Rentals. I had known about the company for some time. However, not living in San Francisco or the Bay Area really kept Omni off my radar as a potential side hustle, even with the October launch of Omni Rentals. I’d like to say that I followed Chris Guillebeau’s book exactly, but the book arrived at my house 37 days before the above Ryan Delk tweet, a tweet that prompted me to consider this as a viable, smart passive income stream. From there, it took another 20 days to move forward with the idea and get my items into Omni storage. Links are active, so if you live in San Francisco or the Bay Area and are throwing a birthday party for your kid, give the gift of Bouncy House! Why did I choose those items to rent out? 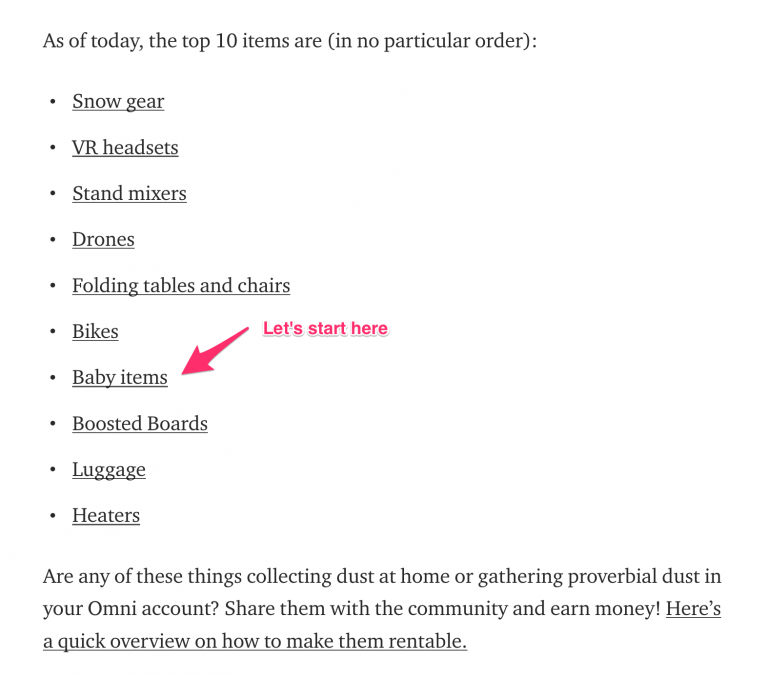 The baby-related items were based on a post from Omni’s blog, Earn Money with Omni - The 10 Most Popular Rental Items. After some quick research, it seemed like Baby Items would be an easy category to walk into. As a parent, I know that traveling with baby gear (strollers, cribs, pack’n’play) can get a bit cumbersome. 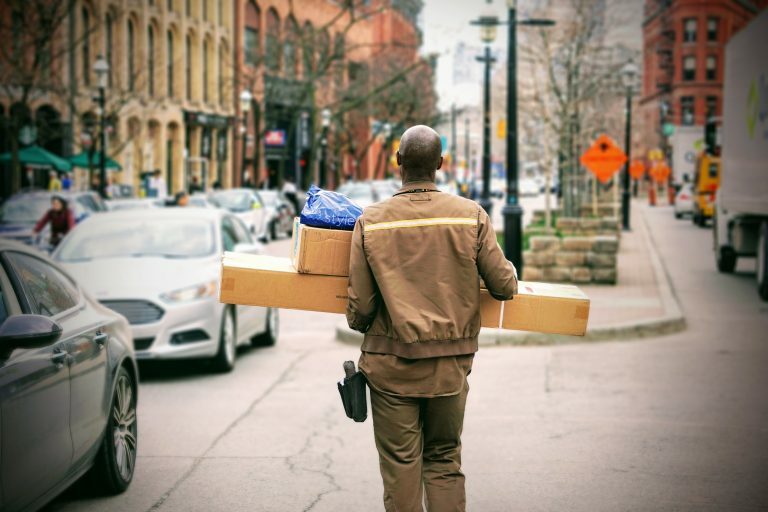 Wouldn’t it be better to just rent an item that ships to my destination? Updated photos upon return? Strong work, Omni! 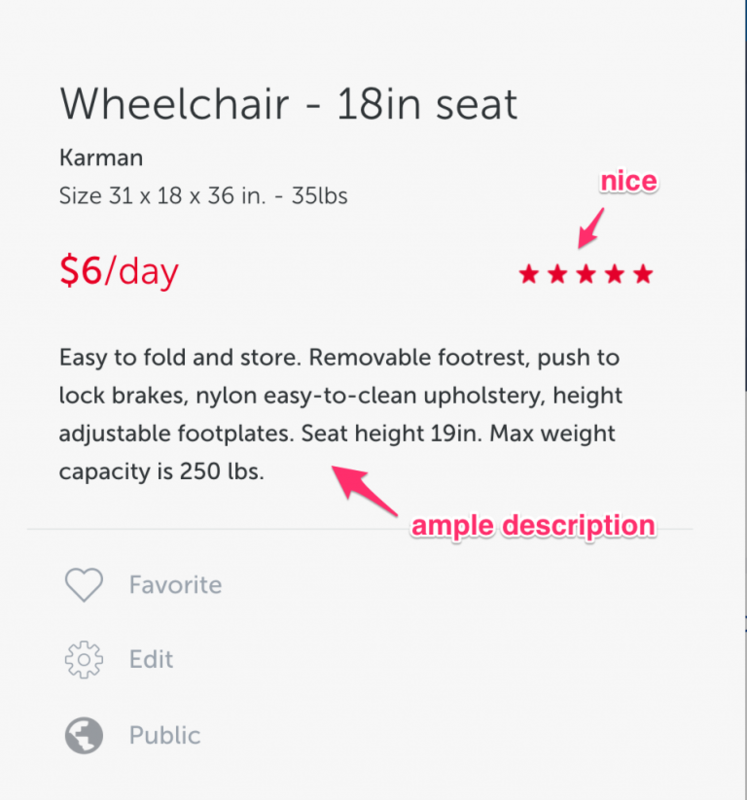 The wheelchair was based on Ryan’s tweet [above] boasting $79/mo. in rental income. It has since dipped to $37.50/mo., no doubt due to the influx of inventory (mine included) coming into the rental app. 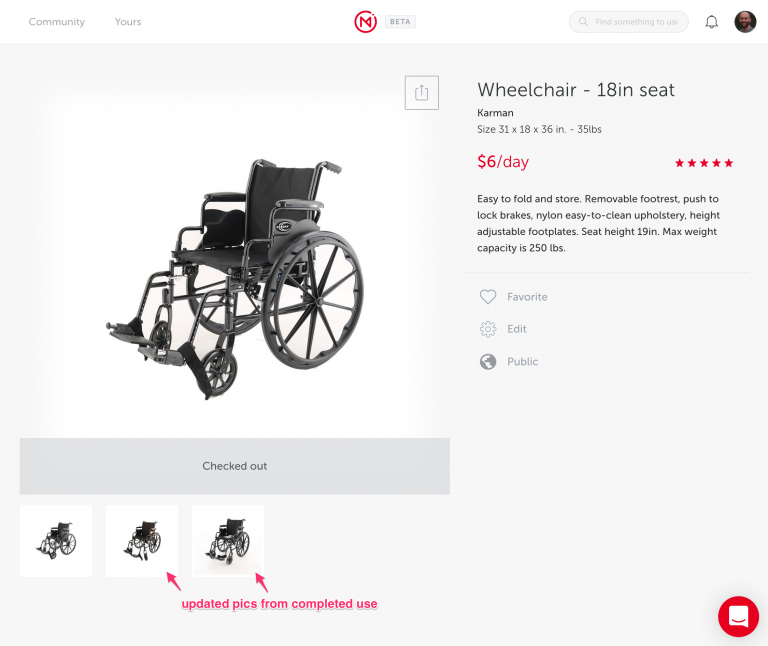 The average wheelchair is making $37.50/mo on @Omni Rentals. 3-5 month payback period depending on the model. Craziness. Why the bouncy house? Bouncy houses are baller. So, are they income producing assets? Yes and no. One is. Three of them might become incoming producing assets in time. The wheelchair has outperformed my expectations. This could be due to demand, it could be due to competitive pricing, it could be due to listing a more robust set of details and information than the competition. Overall, I am not sure. Based on Ryan Delk’s tweet above, I’d put my money on demand. When I signed up for Omni storage and reviewed other wheelchair details, they were nearly blank. It seems that my efforts have sparked the competition to be more complete in their product descriptions. I make sure to be as accurate and complete as possible when listing an item for rent. You never know, the added copy might help. Here is the current performance of the wheelchair, shown below. You will see that I did not get the Amazon card’s 5% back rebate, I hadn’t received the card yet. It was unfortunate, but not a deal breaker. Wheelchair doing quadruple duty as the moneymaker. I have some current payments pending which will show March in a much better light, and, I have a support issue* being worked on for a rental that isn’t shown in February. I plan to write a follow-up article at the end of month 6 to see how things are progressing. I truly believe that the wheelchair will have paid for itself and then some at that point. Part of the (hopeful) profit here was getting a great price with an open box deal item. I could afford to keep my price competitive with the wheelchair as I acquired it for only $112.79. And now the negative. Ouch. Hit hard here. All brand new items. Zero rentals. Serves me right for buying outdoor items out of season. Do I have faith that things will turn around? For sure. In fact, Omni advocates for even better pricing than I am offering, which was already competitive and lower than my competition. Omni rentals says that you should price your rental items at 6% MSRP. Let’s dig in and see if pricing was affecting me. Under the target 6%, for the win! Ok, I am in the Omni rentals specified target % here. There are currently 6 strollers and I am the cheapest by $3. 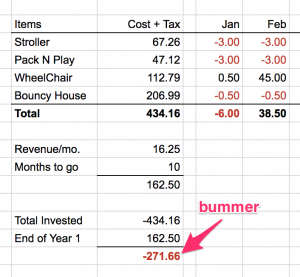 Unless Omni itself shares the data, I am going to chalk the lack of stroller rentals up to overall demand. Ok, seems I started a bit too greedy high. I am still above the suggested 6% and that might hurt me. There are two other pack’n’plays and two cribs, one a fancy travel crib. 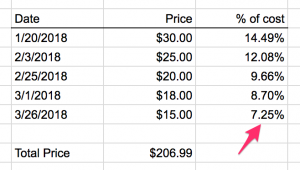 The pricing is as follows, $15 fancy travel crib, $10 pack’n’play, $6 pack’n’play, $4 (me), and $3 crib. It feels as though it’s a demand issue. I have the lowest price for my item, and, I offer the additional benefit of more portability than the crib ($1 lower). The one thing that isn’t in my favor (maybe?) is that Omni storage never unpacked the box. The boxed up item might be affecting rentals, who knows? My pièce de ré·sis·tance. I am getting scared that Bay Area children are being denied awesome birthday parties. Come on, Omni, promote this inflatable delight machine! Ouch! The Bouncy House needs some kids to jump on it! I very nearly could have purchased two more open box Wheelchairs for $206.99. Sure, it might have watered down the average monthly rental price, but it would have been a safer bet for a positive ROI. On the flipside, it too suffers from not being unboxed. Perhaps the spring weather will drive some rental growth. Otherwise, I am just shelling out loot to Omni storage uselessly. The total purchases came to $434.16. At the current rate, I am not projected to break even until after 2 years have passed. On the surface, that is a poor investment. The likelihood that these items become worn and used is quite high, almost to the point of losing their income producing status. However, the almighty Wheelchair has some pending rental fees that need to be credited to my account, plus the support issue that needs to be resolved. When taking those factors into account, I feel safe on breaking even in year one. As I said, I expect to update these numbers after month 6. I’d start by going back to the top 10 list that Omni posted. Additionally, I’d consider renting out a Vitamix. Not only are they resilient, but they would make a great try before you buy rental due to their higher price point than a standard blender. Then again, I’d have to buy a new one because I’d never consider renting my own out, it’s just too good. Plus, I’m too busy hyperdecanting two buck chucks with my Vitamix. Have I had any issues with Omni rentals? Only one, a rental extension on the wheelchair. Apparently it is a bug in the system or an incomplete feature. Either way, they are working to fix it. Once again, fantastic customer service. Excluding what I’ve written, probably about 6-8 hours. That includes researching the company, setting up the account, dealing with the customer service issue, chatting with the support staff on Omni chat about trending rentals, and a few minutes just checking out the rentals app. I am looking forward to see if this becomes a failed experiment or a success. I do take heart in the fact that serial entrepreneur, all-around business advice dispenser, Patio11 is interested in the Omni rental game (or rather his wife). If someone much more accomplished than I has skin in the game, then it can’t all be bad. Hey Internets, particularly early adopter San Franciscan types: what durable items do you have periodic need for but not enough to justify keeping around the home or office? What are my major takeaways from using Omni storage? The rental process was easy to set up and get started. The first “Cha-Ching” email is an absolute delight. I listed the Wheelchair on January 18th and four days later, it’s on it’s way out the door. Per COO Ryan Delk, the wheelchair was a great investment. I plan to buy another when Omni storage expands into the next market(s). The $112 price tag, if I can get the open box deal again, and the 5% back from the Amazon card should deliver excellent returns. Don’t buy outdoor items in January, no matter what. Being first to market with a bouncy house pays you zero when kids have coats on. Reminder to self, break this rule when Omni launches in Saskatchewan! Omni rentals will share a little bit of the special rental sauce if you ask nicely. Part of their success depends on people investing in rental items. Finding open box deals on Amazon are a key to maximizing profits. Definitely something to pay attention when using Amazon and Omni together. Bonus Takeaway: Their customer service really is fantastic. I’ve said it a lot and I really really mean it. To be fair, they use Intercom which is pretty fantastic for customer success management. I would really like to know what city or cities Omni storage will be expanding to. COO Ryan Delk has polled users on Twitter, using Portland, Los Angeles, Boston, and Austin as potential targets. They all represent interesting opportunities across culture, size, demographic, tech evangelism, etc. In the last poll for @Omni's next city, Portland was the top write-in. Putting it head to head against the other finalists now. Which city should @Omni expand to next? One feature that might be interesting would be a long-term rental discount. I don’t have the data to support it, and I could be wrong in my assumption, but promotional pricing could make the difference in a rental decision down the line. Would I invest and buy more items to rent out? Absolutely, if the numbers support it. I really think it’s an interesting space, regardless of how the financials play out. How do you start renting out stuff with Omni rentals? First, download the app. Or, you can sign-up at BeOmni.com. If you do, feel free to use my referral code below. You get $25 in Omni credit and I get $10 when you store your first item. Good deal for both of us, right? Thanks for your patience while reading about my new side hustle. I hope it inspires you to pursue your own passive income streams.